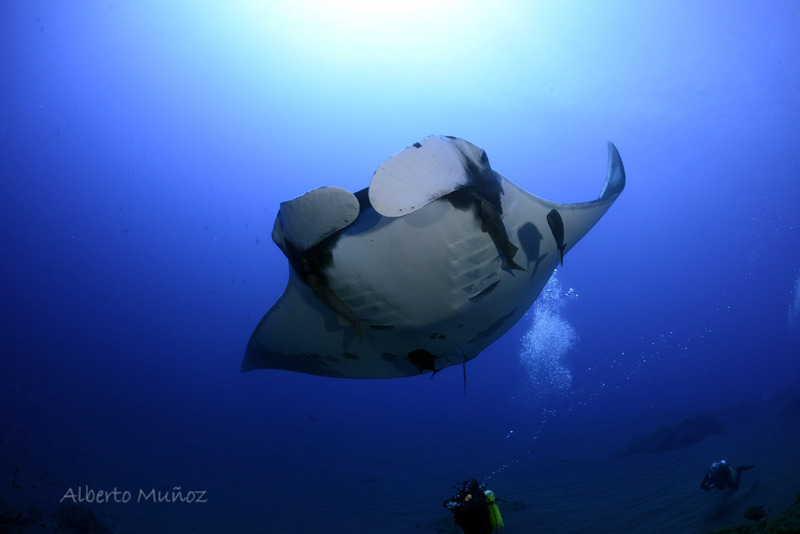 Today in the Canyon it was a very good day, the dive observed few fish, 4 Chevron Manta playing with bubbles, 10 silver tips, 8 galapagos, 10 dolphins, second dive observed, hammerheads school, 8 mantas Chevron, 10 big galapagos,16 silkies and 12 silver tips. At Anchor at Canyon. 21 meters deep. All guests very happy.